A few years ago I hosted a spa party for my girlfriends. 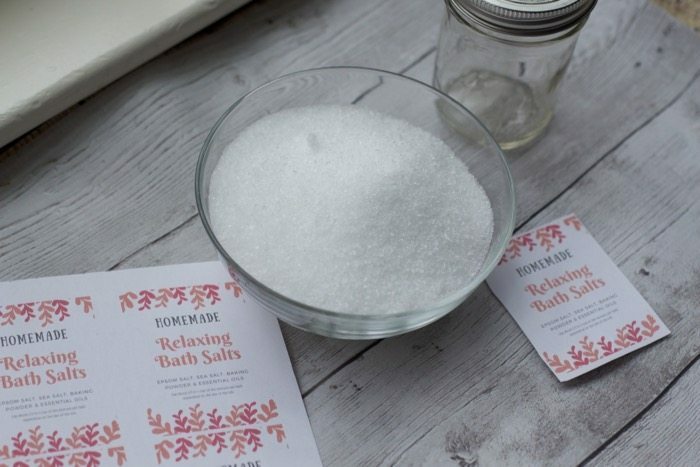 I had stations where they made bath salts and a sugar scrub for taking homes. This would be a fun party too. 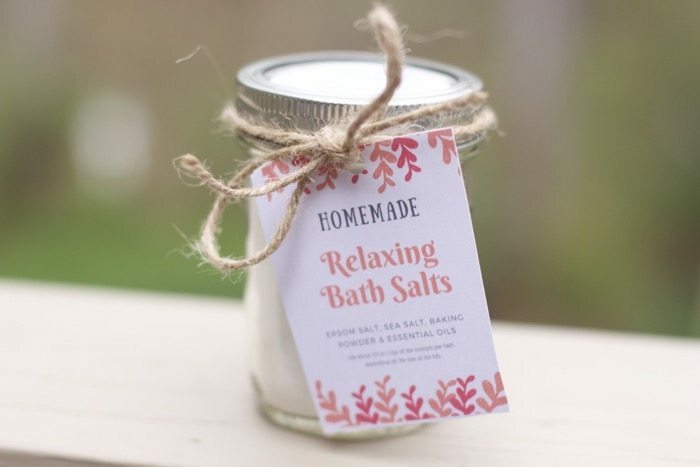 Needless to say, making homemade bath salts for gifts could not be simpler and easy to make in bulk for a party favor or teacher gift. Simply add the dry ingredients and mix them together. 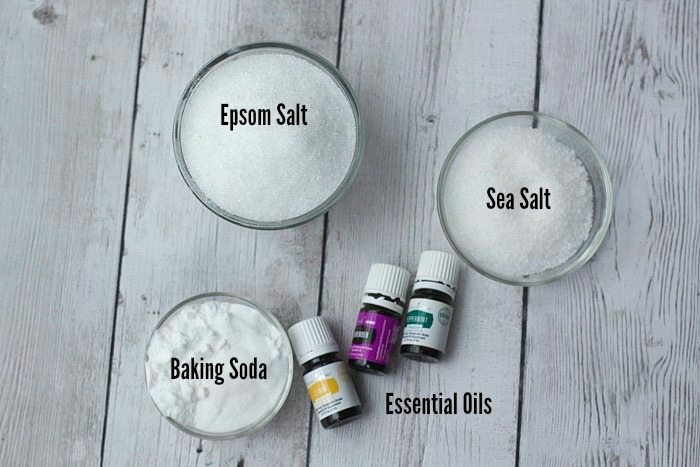 Add your blend of essential oils and mix well. Keep reading to get some ideas I have found. 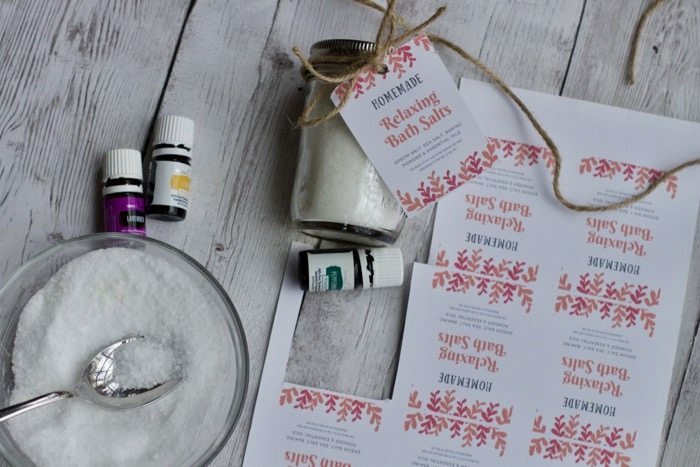 Pour the ingredients into a mason jar and add a cute label. 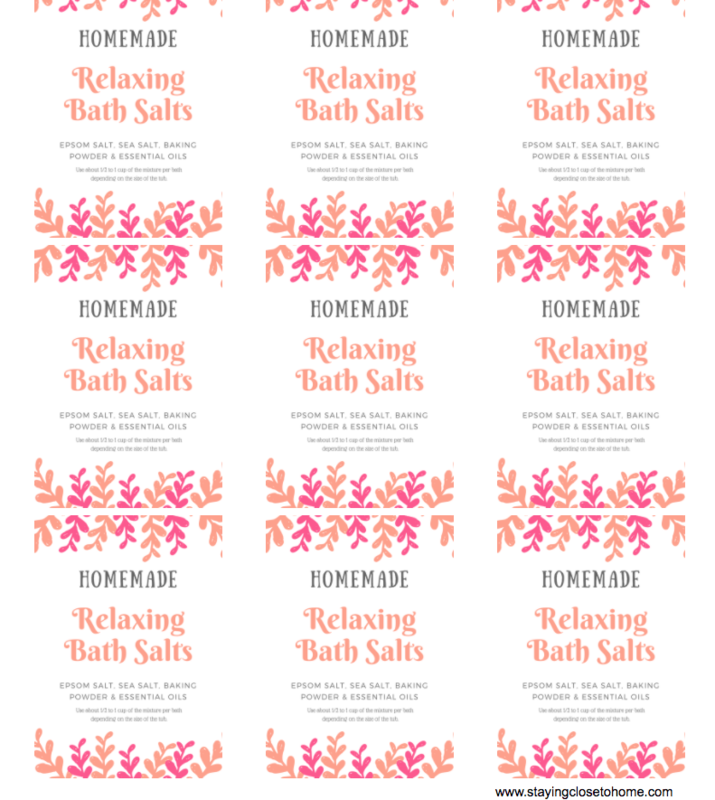 You can print this Mothers Day Gift, Bath Salts with Essential oils Label for a complete and super easy teacher appreciation or Mother’s Day Gift. Use about 1/2 to 1 cup of the mixture per bath depending on the size of the tub. Just punch a hole and attach to your jar. 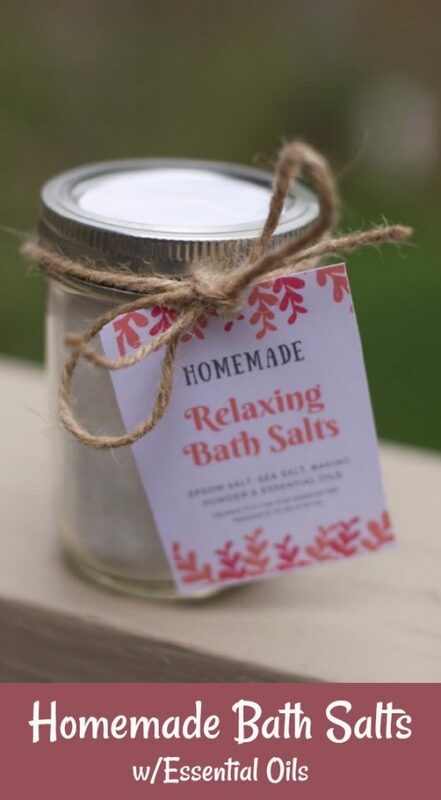 This could not be an easier gift to give to someone that can use an excuse to relax in a nice bath with some refreshing and relaxing essential oils and the powers of Epson and Sea Salts. Be sure to pin this when you are looking for a quick, easy and inexpensive but thoughtful gift for a lady in your life. That can even be yourself!! I just love a good relaxing bath. 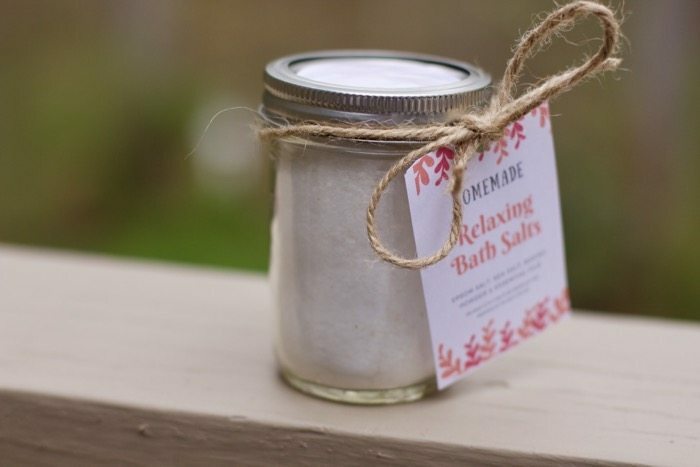 I will have to try one of these recipes for homemade bath salts!